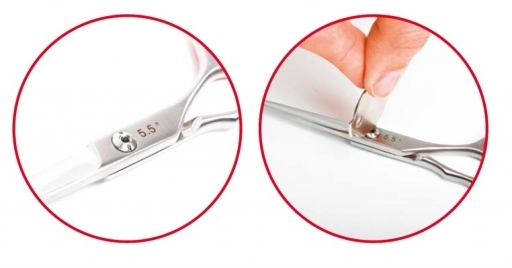 Home » thinning shears Expert Offset 5,5 "
thinning shears Expert Offset 5,5 "
innovative thinning shears Expert Offset 5,5 "
Fully professional and innovative scissors FOX Expert Offset originally designed for export to meet all the expectations of experts. Scissors made ​​of high quality steel, subjected to further heat treatment. 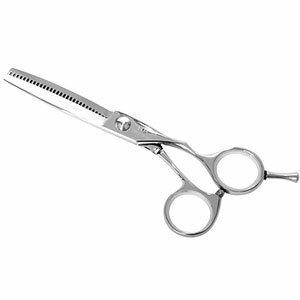 This fully professional scissors are made from specially cut concave blades that facilitates very precise, smooth and precise style. Innovative screw allows for very precise control, which affect the final result of your work. The distinguishing feature of FOX MASTER's quality assurance system. It is an innovative technology stamping screw. The high density of wire provides stable positioning and magazines tension control with precise accuracy at any time.